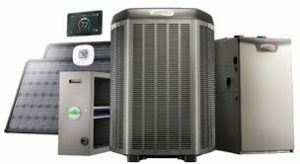 Ask about the benefits of variable speed or 2 stage air conditioners. 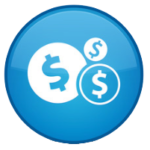 ARE YOU READY TO START SAVING ON YOUR POWER BILL? That’s what you get when investing in premium comfort equipment. Our high efficiency products include 2-stage and variable speed technology that helps adjust the system output to satisfy your heating or cooling demands. We provide and install new heating and air conditioning units with cooling efficiencies from 16 SEER to 25 SEER and heating efficiencies up 98% AFUE rating. These high quality components bring a high-level of reliability and lower utility bills, which optimize performance compared to conventional single stage systems. Your purchase of premium equipment comes with up to 10 years labor warranty and up to 20 years warranty on qualifying parts. YOU NEED A STANDARD AC REPLACEMENT UNIT? If your system is 10 years or older you’re probably lacking the efficiency and comfort your home deserves. We provide the most advanced Heating and Air Conditioning replacement-installation services in the industry making your home energy efficient and extremely comfortable year-round. All our new HVAC replacement-installations come with a 10 to 20 year warranty on all parts and up to 10 years on labor. We also supply a wide range of smart thermostats and indoor air quality products designed to remove contaminants, odors and help balance humidity levels. And if you are unsure about what equipment is best. No worries. We are the experts and based on your needs and indoor conditions we’ll recommend the system that’s best for you. Request a FREE Replacement System Evaluation & Estimate Today! 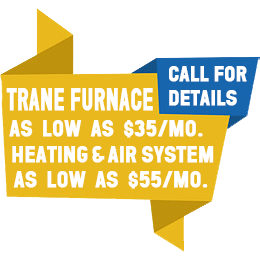 Have a heating or Cooling Problem, interested in a service plan or want to talk about a new system? Call us today and we will give you a free evaluation.